Why Is Professional Teeth Whitening Better Than At-Home Options? Are your teeth looking a little dingy? Whether it’s because you love coffee or you’re a loyal member of a local wine club, you might have noticed that your smile isn’t as brilliant as you would like. There are tons of products out there that claim to whiten teeth, and finding the best method for you might be tricky. One of the big decisions you’ll have to make is whether to use an at-home whitening system or visit a dentist for professional treatment. 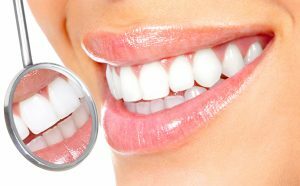 Here are a few reasons why professional teeth whitening in Federal Way is the superior option. Because a dental expert personally oversees professional whitening, it’s possible to use a stronger solution than what is contained in at-home options. A stronger solution leads to faster results. Whereas at-home products can take weeks or months to deliver a white smile, some in-office procedures — such as Zoom whitening in Federal Way — can brighten your smile several shades in one short visit to your dentist. Heading to your local dentist’s office for whitening is ideal if you have a special event coming up that you want to look spectacular for. If you have sensitive gums, you might find that at-home products irritate them and cause discomfort. Some items, like whitening strips, that could have prolonged contact with your gums, might be particularly troublesome. A dental professional can take steps to make sure the whitening solution doesn’t contact your gums or lips. Your dentist can give you a realistic idea of what to expect during the whitening process, and he or she will provide you with an expert opinion on which whitening method is right for you. For example, a fast in-office treatment might not be your best option if your teeth are particularly sensitive. Instead, your dentist might offer to send you home with custom whitening trays. These have a stronger whitening solution than what you’ll find in over the counter products, but they work a little slower and might cause less irritation. Your dental care professional will give you the tools and knowledge you need to maintain your new smile after the initial whitening process. However, the bulk of the maintenance responsibility falls on your shoulders. Be diligent about avoiding foods, drinks, and habits that might cause stains to creep back up on your teeth. Exactly how long the new whiteness will last is impossible to predict, but if you do your best to keep your new smile shining bright, it may endure for several years. Are you ready to say farewell to discolorations on your teeth? Professional whitening in Federal Way could be the solution you’re looking for! Dr. Drew Beaty and his team in Federal Way offer friendly, personalized dental services to folks across south King County. If you want to know more about professional whitening services, contact the office via the website or by phone at 253-839-6544. Comments Off on Why Is Professional Teeth Whitening Better Than At-Home Options?